The Embassy of Canada in Seoul will host the tasting event of Canadian beer and cider products at the Seoul Palace Hotel on March 13 (Wednesday), 2013. The Canadian beer and cider tasting will start at the Royal Ball Room on the frist floor of the hotel at 6:30 p.m. and will end at 9 p.m. on the day. 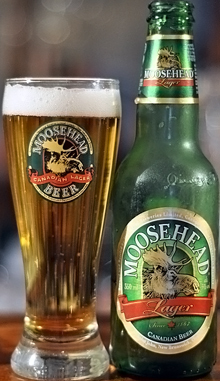 The Canadian products including Moosehead, Big Rock, Alley Kat, Molson Beer, Mill St Beer, Whistler Beer, and MOJO, will be served for the tasting. The registration starts at 6:30 p.m. on the day. At 7 p.m. the presentation of the Canadian beer will be made by the invited Canadian beer expert following a brief speech by the Canadian councilor in charge of agricultural affairs. The Canadian beer and food will be served at 7:30 p.m.